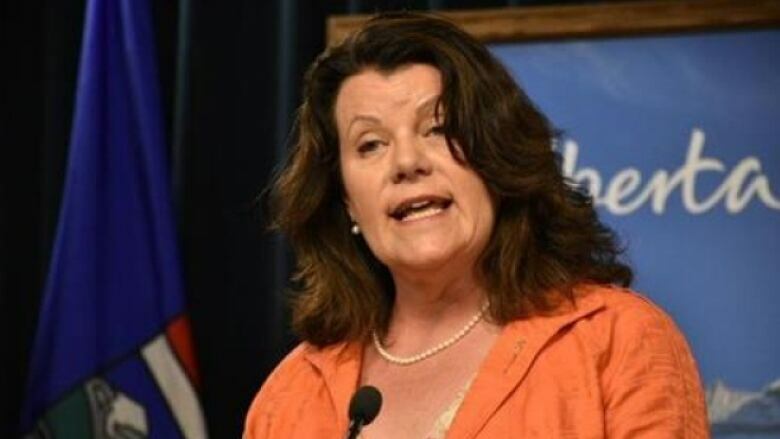 Alberta cabinet minister Lori Sigurdson is taking a medical leave after being diagnosed with acute promyelocytic leukemia. Alberta Seniors and Housing Minister Lori Sigurdson is taking a medical leave after being diagnosed with leukemia. Sigurdson, the MLA for Edmonton-Riverview, shared the news through social media on Monday. She said she had been experiencing unexplained symptoms for several days before being diagnosed last week with acute promyelocytic leukemia. "It was not easy news to hear and certainly not what I was expecting. I am beginning a variety of treatments immediately, but at this point will not be undergoing chemotherapy," Sigurdson wrote. Sigurdson said she is "lucky to have family and friends by my side for this entire journey", and would be taking things one day at a time. She said she looks forward to returning to work. The Canadian Cancer Society says about 80 to 90 per cent of people with acute promyelocytic leukemia reach a long-lasting remission. During Sigurdson's absence, Community and Social Services Minister Irfan Sabir will be the acting minister of seniors and housing. In a statement, Premier Rachel Notley said the entire caucus was sad to hear of Sigurdson's diagnosis. "We are all keeping her and her family in our thoughts as she works towards recovery," Notley said. Last week, Erin Babcock, MLA for Stony Plain, announced that she was battling uterine cancer. Babcock said she intends to continue working while receiving treatment at the Cross Cancer Institute.